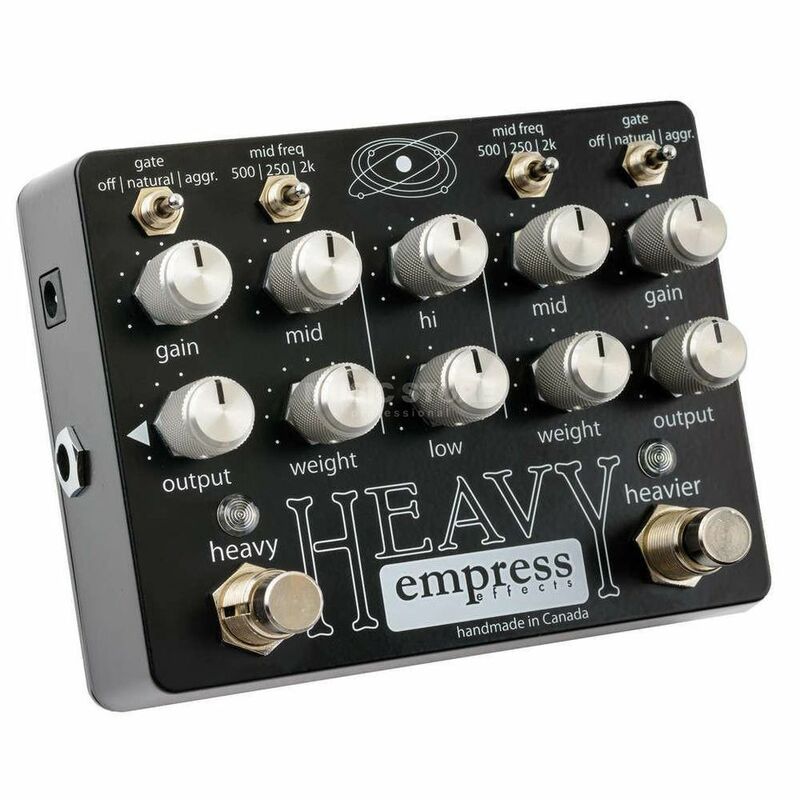 Made in Canada, the Empress Effects Heavy is a two-channel distortion effect pedal for electric guitar that easily shakes even the hardest sound out of the sleeve. With "Heavy" and "Heavier", the pedal offers two identical channels that can be used to call up extensive sound variations. In addition to the gain and output potentiometers, each channel has a mid control with triple-switchable center frequency and the weight control, which can be used to adjust the character of the bass reproduction. A 2-band tone control for bass and treble is also available for both channels together. Last but not least, the Empress Heavy is equipped with a noisegate whose response can be adjusted individually for each channel.